Yah, there’s nothing worse than a tease. Either go all the way or don’t get started. I know, I tried this line out on my wife last night, and just for the record, do not try that line out on your wife. 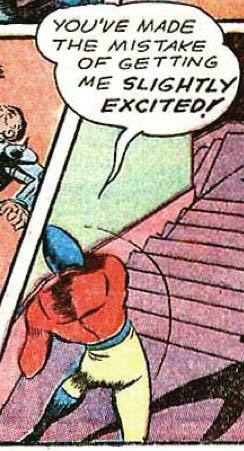 What would we do without Bulletman? Good times, good times! Jeff, I’m sure you know this, but never use a line where women can use their “female logic” to turn your words against you. lol@Runt, that is too funny! Now this is just wrong. I love it! Two men are at work talking on their smoke break. Joe: I drove by your house yesterday and saw you and your wife on the front porch kissing and hugging each other. John: The jokes on you! I wasn’t home yesterday!